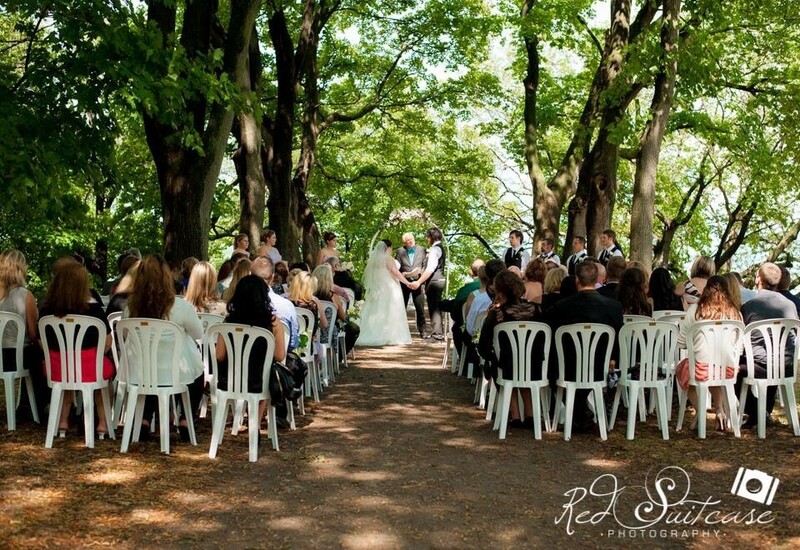 This is Dundurn Castle’s outdoor wedding option. The Maple Walk is a point of land facing the Harbour at the back of Dundurn Castle. Rental of the Maple Walk. Decorated archway focal point and signing table. Music from our portable stereo. Coach house wedding reception for up to 70 people. A non-refundable deposit of $350.00 is required to book Dundurn’s Maple Walk Package. The deposit can be used for up to two years if you need to postpone prior to one month from your wedding date. Balances paid up FOUR WEEKS from the wedding date.